Called engyo meaning "round" due to its shape. 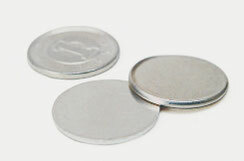 The base of our 1 yen coin, an integral part of our daily lives. 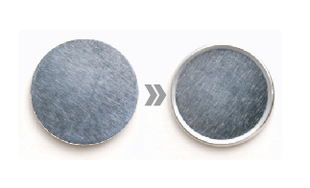 This is a minting term, and the actual terminology of the base for the 1 yen coin is called "Aluminum circle for 1 yen coin". Even if it is just 1 yen, it is still valuable money, and there are very strict quality control standards. A 1 yen coin is exactly 1 gram, and even microscopic errors are not allowed for its "thickness" and "size". 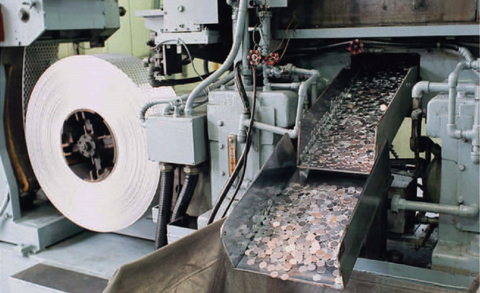 We have been manufacturing aluminum circles for this 1 yen currency since 1967. Akao Aluminum is always with you in your daily lives. 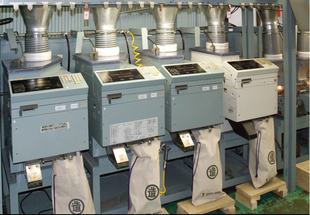 Manufacturing process of "Aluminum circle for 1 yen currency"